Chief Willie Moon says the community was prepared for the flooding, which started to recede Tuesday afternoon. 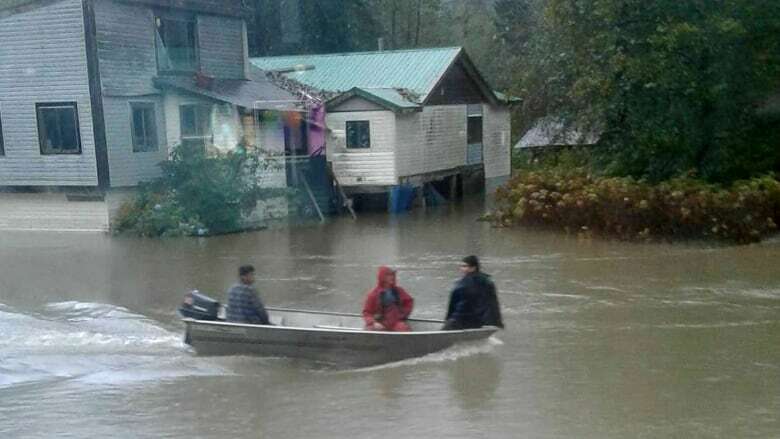 Floodwaters in Kingcome have people huddled indoors, watching and hoping the water continues to recede. "The high tide was at noon, so the water is starting to go down. We're not too worried about it right now," said Cassandra Henry from her home in Kingcome, a Musgamagw Dzawada'enuxw community on B.C. 's Central Coast. The floodwaters rose steadily Monday evening after heavy rainfall caused the Kingcome River to spill over its bank. According to the B.C. River Forecast Centre the flooding peaked early this morning and has been slowly receding since then. But with 50-80 mm of rain in the forecast a flood watch remains in effect. Henry said people were quick to help each other floodproof their homes and belongings on Monday evening. She said it was a restless night, as the waters rose and heavy rain continued to fall. "I actually stayed awake until like four in the morning last night, just worried," she said. 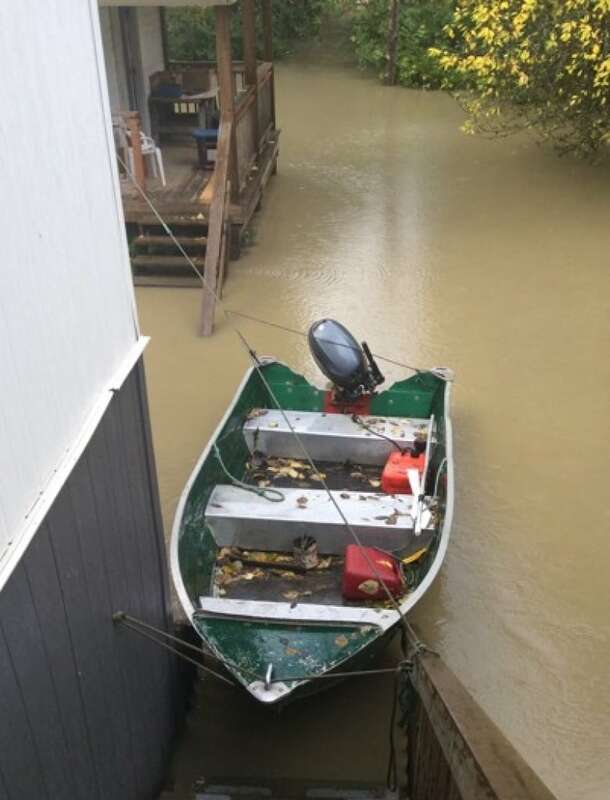 Eugene Isaac shared this photo of his nephew's boat tied to his home in Kingcome, B.C. (Eugene Isaac)Chief Willie Moon said it's hard to tell what kind of damage the water might have caused but that none of the houses have been flooded. He said after the massive flood in 2010 houses in the community were raised about a metre above ground. "So a lot of these house wouldn't go under unless we had the 100 year flood in the next week or so," he said. After the 2010 flood, a river gate system was installed and Moon said the community keeps an eye on it. Once it reaches a certain point he said people know to start moving their belongings — such as cars and machinery — to higher ground. "Everybody was putting stuff away yesterday so there's no panic today," he said. While the flood waters have been receding throughout the afternon, Moon said it's hard to tell how the next storm front might impact the village. "I can see the dark clouds that are coming this way right now. So I'm expecting another pourdown but I'm hoping it's not going to impact our community," he said.